With her knack for bringing the outdoors in and passion for creating enviable albeit liveable spaces, it’s hardly surprising Kristy Gordon’s heritage-listed family home is what dreams are made of. 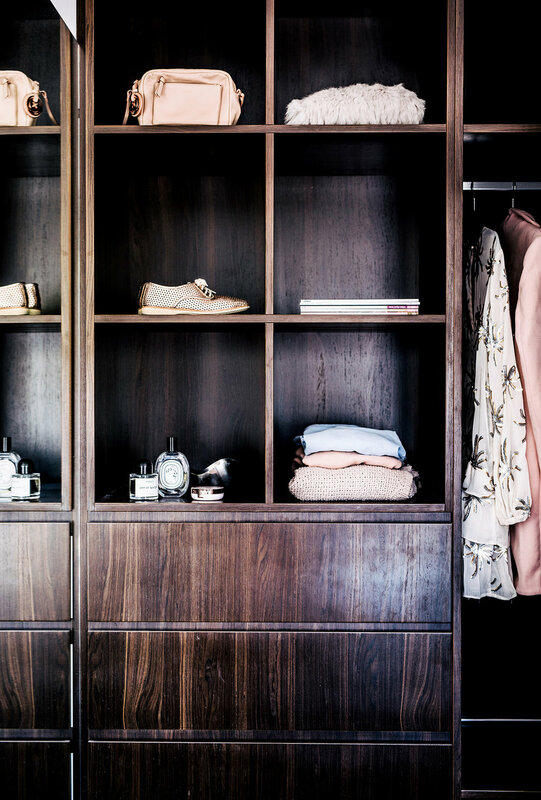 When Kristy Gordon purchased her home in Melbourne’s Elsternwick almost a decade ago, she spent a few years working out what it was she wanted to change before embarking on a major renovation – that just so happened to double as her first project as a freelance interior and property stylist for Lady Marmalade Styling. 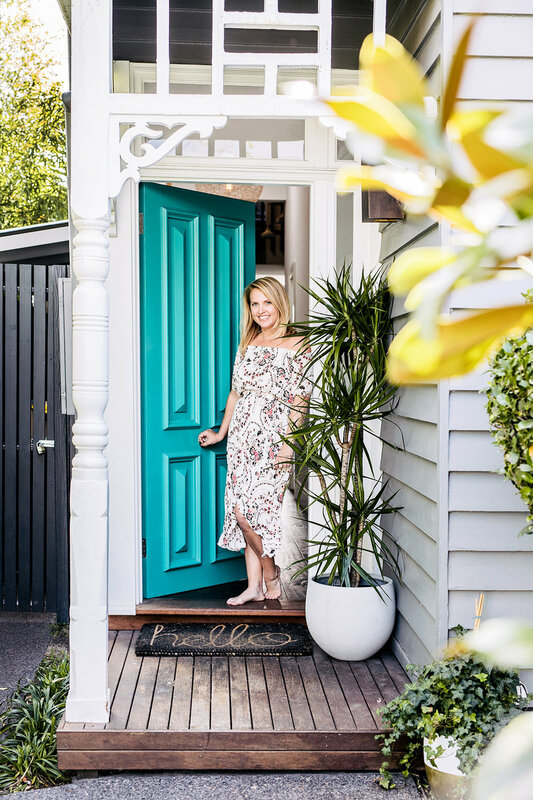 Kristy says that while she was lucky to purchase the home in its near original condition, there were a few things that she couldn’t wait to change – namely, the exterior paint colour (army green with a bright yellow door), fence and front garden – in order to add street appeal. For Kristy, it was important to keep the exterior of the house in line with its century-plus provenance and heritage listing. Then, when it came time to making serious changes, Kristy had already formed a clear vision of what she wanted, and it became a simple case of putting plans into action. 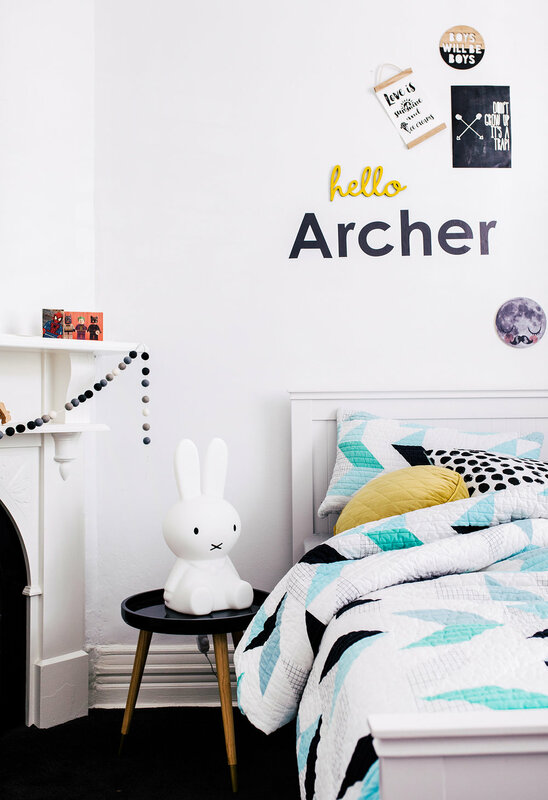 According to Kristy, the renovation process took about 10 months and was fairly straightforward, thanks to the help of her reliable builders, Adbuild. “I wanted a space that was open, functional, simple and timeless – perfect for family life and entertaining – with all rooms flowing into one another and exuding a similar feel. 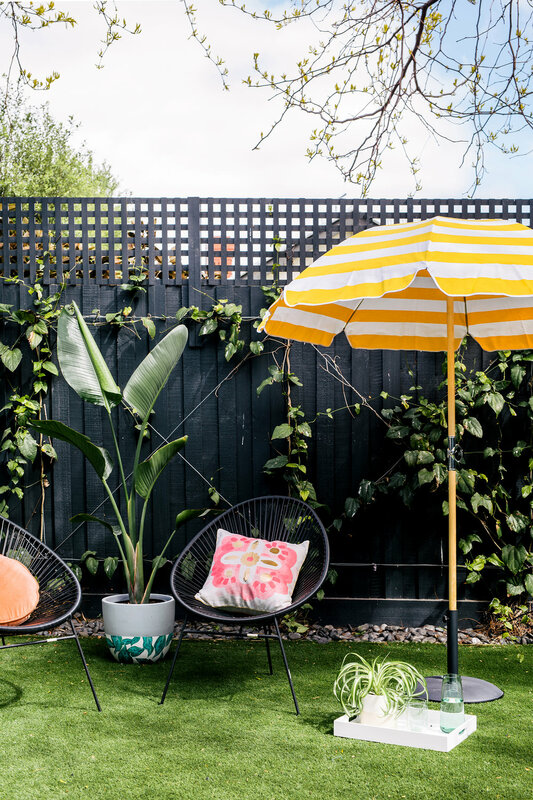 The ability to open up to the outdoor space in warmer months and connect the main living space to the outdoors, where the kids spend most of their time, is a great benefit,” Kristy says. It is not surprising that the kitchen is the where the heart of Kristy’s home can be found, being the central point which connects the rest of the living space. 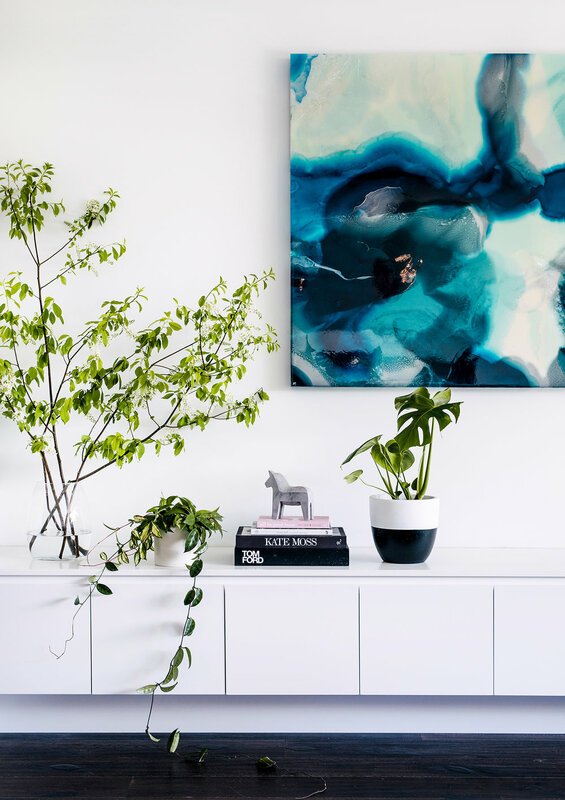 Admitting to an obsession with greenery, Kristy wanted to bring the outdoors in and for the garden to be as visible as possible, while capturing lots of natural light. Kristy says the kitchen window was screaming out for a vertical garden and, in her determination not to have an ordinary splashback, designed her own glass window view of lush greenery. 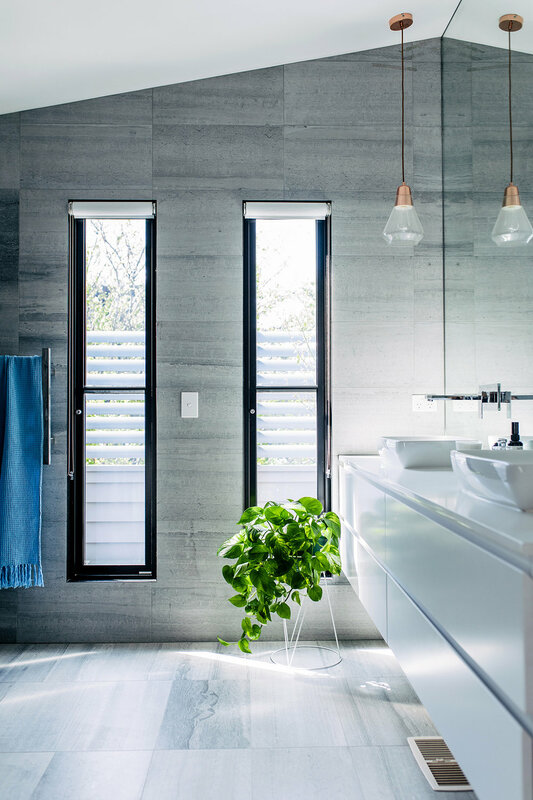 As for the bathrooms, Kristy says they needed to be as luxurious as possible – with plenty of space and storage, while keeping a minimalist edge to which she could add a pop of colour, when styling. In keeping with her desire to stay with a simple modern palette, Kristy opted for CDK Stone limestone tiles, which were applied floor-to-ceiling, for a timeless effect. While Kristy applied much thought and attention to the inside of her home, the outside commanded just as much respect in her aim to create a welcoming sanctuary and entertaining space. 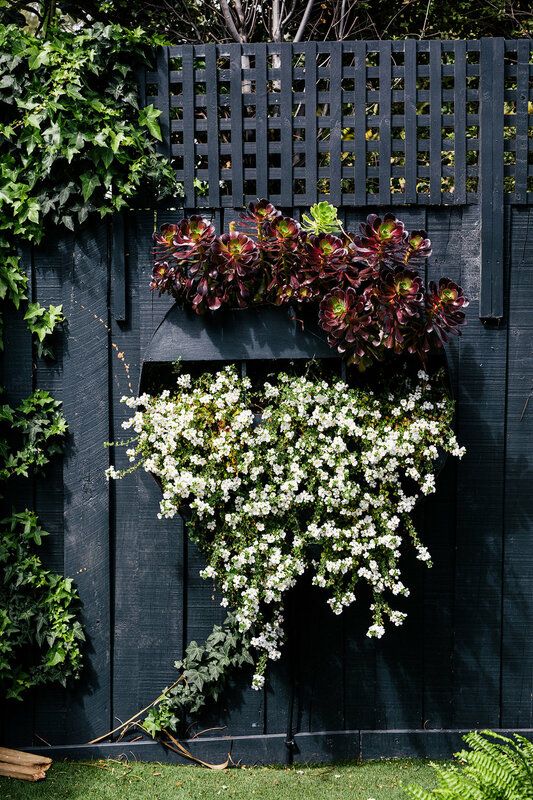 The result is a lively, low-maintenance garden that cleverly blends a timber deck with faux lawn and abundant plant life – the pièce de résistance being a beautifully eye-catching and clever vertical garden, comprising two bespoke circular planters designed by Kristy and made by her gardener. Want to see this home in print? You’ll find the full home tour in our Summer 2017 edition, available through our online shop. Click here to buy.